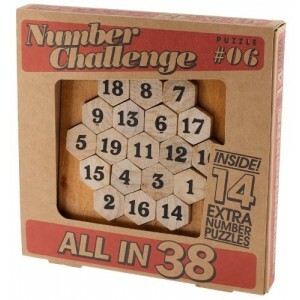 Number Challenge All In 38 by Professor Puzzle Can you make every row add up to 38? 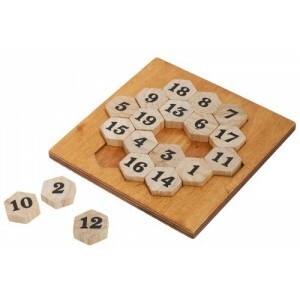 There are 15 rows in all directions to complete, each made up of 3,4 or 5 pieces. All in 38 is great for ages 5 to adult. Comes with free delivery.